Shoviv Lotus Notes to Outlook PST converter is a very proficient tool which provides the ability to convert Lotus Notes Mailboxes into Outlook PST in a snap time and efficient way. 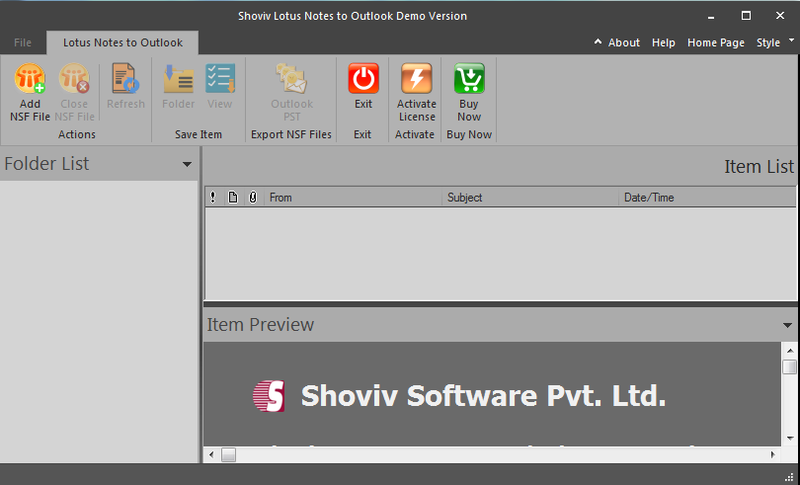 Shoviv NSF to PST converter tool is having equipped with various features such as preview option which helps to preview Lotus Notes Mailboxes data before conversion of Lotus Notes Mailboxes into Outlook PST. This tool also provides the capability to convert Lotus Notes Mailboxes data into Outlook PST without tampering original data. This NSF to PST converter tool allows to complete Multiple mailbox conversion from Lotus notes to outlook PST in one go. This tool also provides Item filters option which let the users filter out items of Lotus Notes mailbox and then create Outlook PST out of it. Apart from this, Shoviv NSF to PST converter tool supports all IBM Lotus Notes and Microsoft Outlook version as well as all Microsoft Windows Operating Systems precisely. Password recovery tool for QuickBooks files (*.qbw, *.qba). QuickBooks Password resets the password to a known one. This can be done instantly and you can open your document immediately.